Beautiful designed villas. Great hospitality! All ingredients for a perfect stay. These villas are an ode to modern architecture. No words to describe how stunning these villas are! Great modern villa with all amenities. My family had an excellent stay at Conte Marino Villas. Everything, including the property manager (owner), exceeded our expectations. We have very high standards when it comes to cleanliness, this villa did not disappoint. It is in close proximity to many nice restaurants, shops and beaches. I highly recommend Conte Marino Villas. 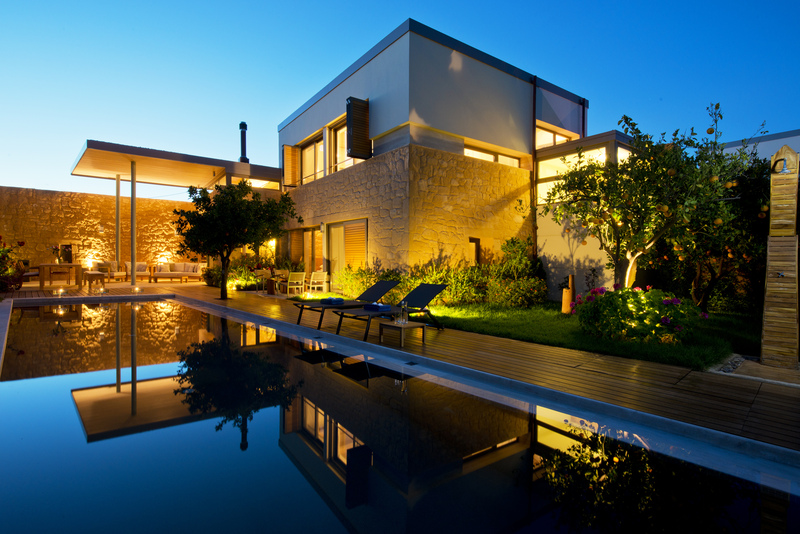 We had a wonderful cacation in crete, which started in a wonderful villa. The arichtecture, the garden the pool, the room all were very pleasant and comfortable.The woner met us on our arrival and suplied us with tips and suggestion that were most helpful. The villa is optimally located in a quite area not far from the sea. Above expectations in every way!!! AMAZING VILLAS .... WITH PRIVATE POOL! I had a wonderful stay with my friends, my daughter and their son. The Villa is wonderful, comfortable. The Staff is wonderful and speaks English. My stay at the Conte Marion Villas was wonderful, the Villa with it's private pool is just so amazing.... No need to go anywhere just stay put with friends and family , Enjoy Dinner al Fresco ......The Staff is also very nice and accommodating. I really cannot express how delighted we have been with our stay at the Conte Marion Villas... Amazing high spec villa.. Amazing staff.. Knowledge local owners who are at hand to help enhance your stay.. Nothing is to much trouble.. It won't be long before we are back for another stay at this lavish location..
A truely luxurious villa to rent. We have just checked out from "our" villa. I was amazed by hospitality of the owner, Mrs Despina. However, this villa was fully equipped, I mean fully . Fantastic architecture. As an architect, i can see the details and finishing touches that went a step further.Bravo, really bravo. Wir freuen uns, Ihnen im Folgenden verschiedene Pressemitteilungen, Rezensionen und Medienberichte zu zeigen, die von Conte Marino handeln. Nachfolgend finden Sie eine Auswahl an Publikation der weltweit besten Reisemagazine.